Samsung Galaxy S5 got its first recognition at the Mobile World Congress that took place in February 2014 at Barcelona. 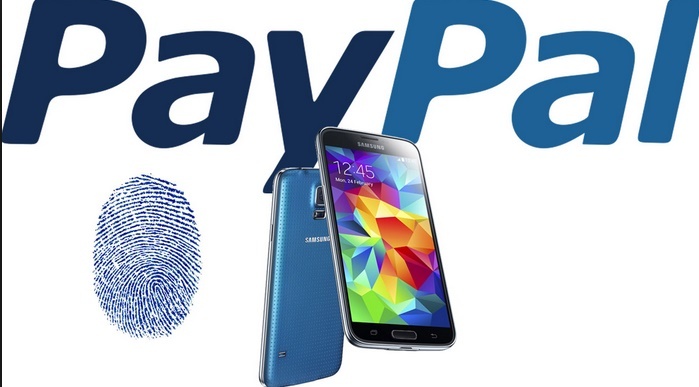 At the same event, PayPal announced that it would launch application that will utilize the fingerprint reader on the S5. PayPal has launched some apps that will work with S5 and Galaxy Gear wearables. So when you have this alp installed in your device you can use fingerprint password. Instead of typing username and password, just type the username and with a swipe of finger across the screen you can log in to your device. So once your fingerprint is scanned, you can use it as password and make online payments. These new apps released by PayPal allow devices like Samsung Galaxy Gear 2, and Gear Fit smart watch users to redeem offers, make payments and receive payment notifications. Recently the NSA was alleged to exploit consumers by the HeartBleed bug and just after that the app has been released. So there is a fear that it may be unsafe to use the app. However it is reported that PayPal has not been affected by this vulnerability.